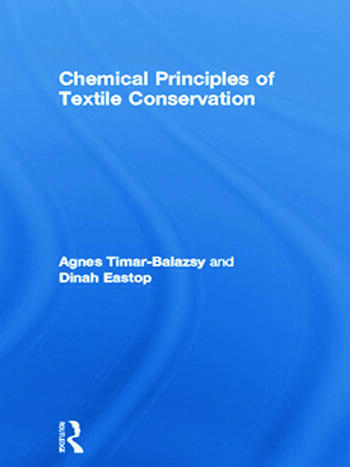 'Chemical Principles of Textile Conservation' provides must-have knowledge for conservators who do not always have a scientific background. This vital book brings together from many sources the material science necessary to understand the properties, deterioration and investigation of textile artefacts. It also aids understanding of the chemical processes during various treatments, such as: cleaning; humidification; drying; disinfestation; disinfection; and the use of adhesives and consolidants in conservation of historical textiles. Textile conservators will now have ready access to the necessary knowledge to understand the chemistry of the objects they are asked to treat and to make informed decisions about how to preserve textiles. The combination of a chemist and a conservator provides the perfect authorial team. It ensures a unique dual function of the text which provides textile conservators with vital chemical knowledge and gives scientists an understanding of textile conservation necessary to direct their research. The many practical examples and case studies illustrate the utility of the relatively large chemical introduction and the essential chemical information which is included. The case studies, many illustrated in colour, range from the treatment of the Ghandis' clothes, high-altitude flying suits and a Mary Quant raincoat, to the Hungarian Coronation Mantle.